Microplastic is commonly defined as plastic particles smaller than 5 mm. In 2015, the Regional Monitoring Program for Water Quality in San Francisco Bay (RMP) conducted a special study to measure microplastic in treated wastewater effluent and Bay surface water. Bay surface water appeared to have higher microplastic levels than other urban water bodies sampled in North America, such as the Great Lakes and Chesapeake Bay. Microbeads derived from personal care products and tiny fibers, a portion of which were likely derived from synthetic clothing, were recovered from all nine Bay sites. Tiny particles, primarily fibers, were also detected in treated effluent from Bay Area facilities; not all of these particles are known to be plastic. These findings received considerable media attention and catalyzed state and federal policy shifts. 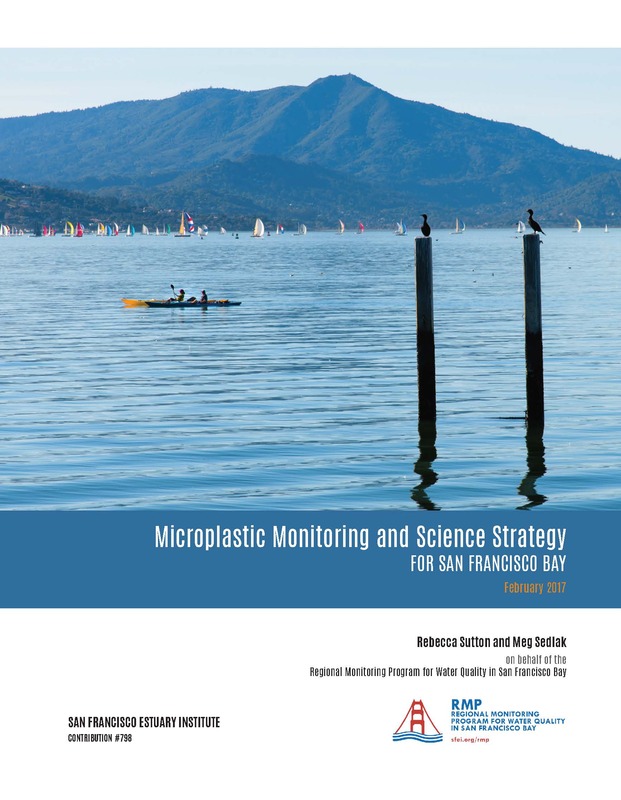 In 2016, the RMP authorized a special study to develop a strategy for continued study of microplastic in San Francisco Bay. To form this strategy, the RMP convened stakeholders to articulate management questions specific to microplastic pollution, and then conducted a one-day workshop that brought together stakeholders and microplastic experts to develop an understanding of the state of the science on this emerging contaminant, and determine consensus priorities for future work. • a multi-year plan for studies that would provide answers to the management questions. The monitoring and management of both macro- and microplastic are issues that extend beyond the scope of the RMP. In this document, we seek to identify data gaps, next steps, and strategic partners who can help provide information and resources to inform management decisions. This Microplastic Strategy will be refined and adjusted in years to come based on advances in understanding and changes in the sources and management of plastic pollution.